Prepare the pastry dough by mixing all the above mentioned ingredients. Prepare soft dough.Apply little oil all over the dough, cover and keep it aside. Place pan on th flame, add oil into it. When oil heats up, add chopped onion and fry till light brown. Add green chilly paste, ginger paste and garlic paste. Fry till raw smell goes off. Add peas, corn and chopped carrot. Cook till soft. Add boiled potato and all dry masala powder.Stir well. Now add beaten rice,salt and sugar.Mix well . Close with lid and cook for sometimes, so that mixture cooks well. Turn off the flame and add lemon juice and chopped cilantro. Divide the pasty dough into small balls. Roll each ball into circle of 15 cm. Cut the circle into two equal pieces using the knife. Prepare sealing paste by mixing all purpose flour and little water. Form the cone using these cut pieces . Fill the stuffing into cone and seal all the edges of the cone using the sealing paste. 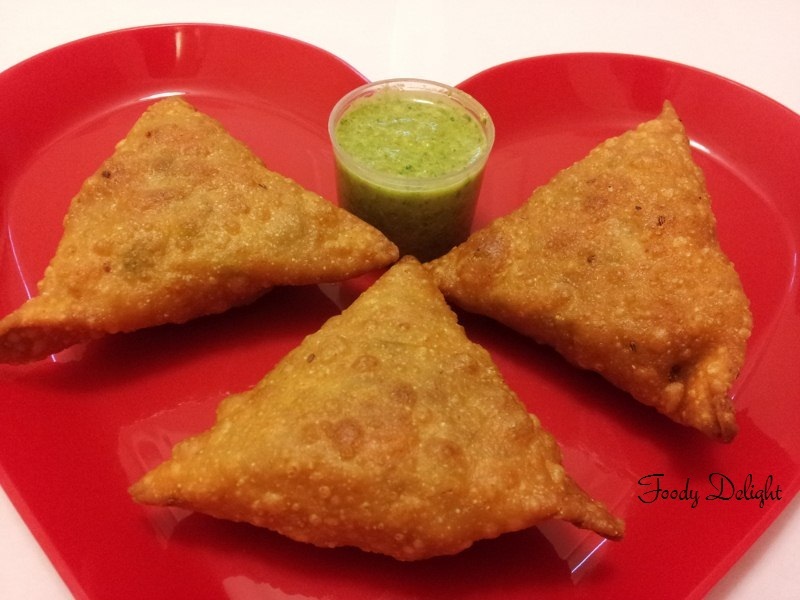 Finish the samosas and fry all one by obe. 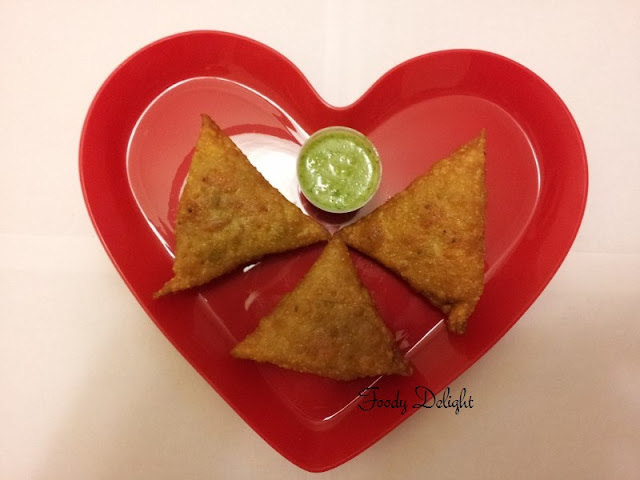 Samosas are ready to serve hot. Samosa can be served with green chutney or tomato ketchup.